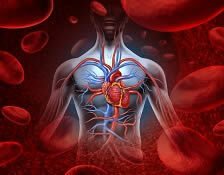 Causes of hypertension and bodywork modalities that can increase and decrease blood pressure. Reasons hypertension is thought to be a massage contraindication and how to practice sensibly. The side effects of statins and considerations for massage. Massage therapy's impact on cholesterol levels. How Bodywork Impacts Hypertension - Depending on what techniques are applied, massage therapy can either raise or lower blood pressure. In preparation for working with hypertensive clients, it's crucial you know which modalities to choose. Hypertension: Massage Indication or Contraindication? - Being a responsible massage therapist often means combining information from various sources to arrive at an educated conclusion. In the case of treating a client with hypertension, choosing the best way to proceed can be tricky. While modern research touts its ability to reduce blood pressure, massage therapy is also one of the most commonly taught contraindications for hypertension. Statins and Massage Therapy - As one of the most frequently prescribed medications, make certain you know what side effects statins cause and how to address them in a massage therapy practice. Can Massage Affect Cholesterol Levels? - Learn about a Japanese study confirming that a specific type of massage can have measurable results for lowering cholesterol levels. Great to refresh my memory for doing massage on high blood pressure/ cholesterol clients. Overall the material was very educational and interesting. I will definitely use it when working with my clients. The course was very informational without a lot of extra reading. Taught me several things. The course was just great. Very helpful information leading me to do further study via references in your course. Thank you for making ths information available for CE credits. Good material to use and educate on... really enjoyed the class study guide as it really helped me learn more about hypertension and cholesterol. I enjoy learning a lot in a short amount of time and this course enabled me to do that. Thank you ~ I will be taking other courses offered as well! The information contained in this training is useful not only to me as a LMT but valuable to share with clients, family & friends as well. I learned a few new items and relearned some forgotten ones. I have high blood pressure that is controlled so I found this course very interesting. Informative and easy to understand. I will sign up for more courses! I found it right to the point and worth the time. I was very pleased. I didn't know massage could be so beneficial to those with cholesterol issues. Great information! Gained knowledge from this course. Really found the information helpful on hypertension and was able to refresh what I already knew. looking forward to more classes. Great information! Thank you for teaching me the new info on Anma. Thank you - another great, useful course! As a registered dietitian, it was great to see this course because most of my massage clients have hypertension and I take their blood pressure before I give them a massaage. My nutrition clients who come to me for their hypertension, I offer nutrition advice and massage therapy to help control their hypertension. Great review. I will be making charts to assist me during health history intake and assessment. Very important info for all of us! I truly enjoyed this course. It reinforced my knowledge that I learned from Pharmacology and Massage (another great course that I love) and added more insight in my practice in working with cardiac patients at the hospital's Cardiac Rehab center. Cannot thank you enough for offering this course. I really enjoyed learning about this subject matter as it is one that pertains to so many people here in the United States. I found this material helpful to me as a practitioner and also valuable to pass onto family members and friends. Was a great review and new information learned. I really enjoyed this course. I think it is great knowledge to have with so many Americans with Hypertension! This course provided very valuable and important information regarding hypertension and cholesterol in regards to massage and how it affects the client. Explain what hypertension is and what may cause it as well as identify which massage modalities can normalize blood pressure and which may raise it. Understand the danger of hypertension and the role massage therapy can play in raising or lowering it. Review what statins are, their side effects and massage considerations with individuals taking them. Describe cholesterol in the body and how elevated levels can affect health as well as possible means a person can use to lower levels.